If you’re considering a move to the great state of Alaska, there are some things you should take into consideration. Alaska is known as The Great Frontier, and with its remote location, abundant wildlife, and raw, rugged landscape it’s certainly easy to see how the 49th state earned its title. Here are some of the facts about life in Alaska that may help you decide if life in this beautiful state is for you. Long winters. Although winter lasts for six months and the cold Alaskan winter weather can be harsh, many residents will tell you that life here is good. If you love winter, you’ll probably love living in Alaska. If you don’t like cold weather, this might not be the best place to put down permanent roots. Lots of layers, a roaring fire, and a visit to one of the state’s popular hot springs might convince you to give it try, though! Long summers. Summer days are extra-long, with 20 hours of sunshine and lots of opportunities for outdoor activities lasting from May through October. Don’t expect the temperatures to get much above the 60s or low 70s, except on rare occasions. High cost of living. Essentials like food, housing, gas, and household goods cost more than “down South” in the lower 48 states, since most consumables must be shipped in from other locations. Higher wages. The good news is, salaries are higher in Alaska as well, which helps offset the higher cost of living. Factor in a daily overtime pay policy and the absence of state sales tax and individual income tax and working here becomes more attractive. In addition, maintaining residency for one complete calendar year results in qualifying for a special oil-funded Permanent Fund Dividend (PFD) paid by the government annually, which can be significant if you have several family members, since each member qualifies. In 2015 the dividend was over $1,000 per person. Quality Life. While it’s true that friends and family will likely be harder to get to and travel from Alaska is expensive, many people yearn for the solitude Alaska offers as the largest state, and one of the least populated. If you want to get away from it all, enjoy your alone time, or prefer to spend time just with your significant other and immediate family, Alaska can provide you lots of opportunities to live a quality nuclear life. Strong sense of community. While some residents do prefer to keep to themselves, many people will gladly give the shirt off their back to help a neighbor without hesitation, since they’re very well aware of what it takes to survive in Alaska, and how much residents need each other. Tradition is strong here, as are family values. With endless opportunities to hunt, fish, trap, and catch big and small game all year round, it won’t be hard to find a neighbor who shares your passion if this is a favorite pastime. Alaska is a frozen wasteland. Some people picture Alaska as nothing but tundra, but the state has some of the most spectacular and picturesque landscape on earth. With more ocean coastline than all other U.S. states combined, 3.5 million lakes of 20 acres or more, stunning mountains, rivers, numerous wildlife refuges and extensive forests, Alaska is much more than tundra. In fact, cities in the rainforests of the Southeast may go an entire year without seeing more than a dusting of snow. It’s not that big. Alaska is more than twice the size of Texas, the state most people think of as the largest state in the union. In terms of land area, Alaska’s 570,380 square miles is much larger. There’s nothing to do here but ski. Although you could spend all your time sitting around, Alaska offers a host of activities to keep you busy all year long. During the winter months, outdoor sports abound along with the hunting, fishing, and trapping activities mentioned earlier, and many residents take this time to develop hobbies such as cooking and baking, art, writing, knitting, sewing, and crocheting, or learning a musical instrument. Some towns host community costume parades, talent contests, and wearable art shows for local residents to show off the fruits of their cabin fever, and the summer months offer warmer weather for hiking, camping, and enjoying other outdoor sports and activities. No one lives here because they want to. According to an Anchorage Daily News article published February 21, 2015 Alaska ranked highest in the nation for residents’ well-being, as determined by indicators including social satisfaction, good health and sense of purpose. In other words, for many people Alaska is the happiest place in the country, and previously ranked among the five happiest states from 2009 to 2011. Moving to Alaska will be easy. 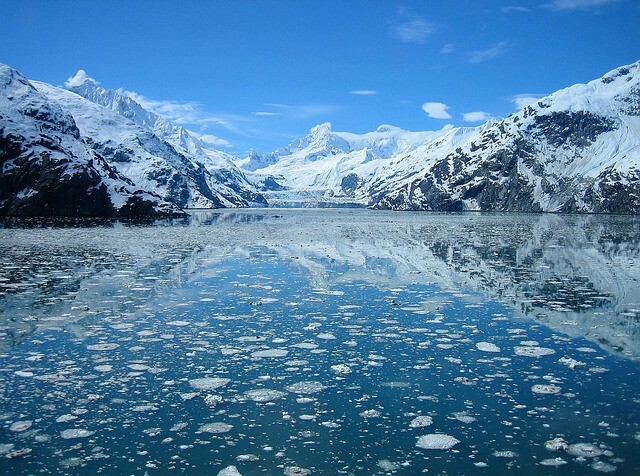 If you do decide to make Alaska your home, you need to plan your move carefully. When shipping household goods to Alaska, you’ll encounter some unique circumstances, such as the possibility that you may have to ship your belongings over waterways or by air in addition to using the typical over the road method of moving. For everything you need to know about shipping household goods to Alaska, check out our recent blog post for all the important details, and tips on how to make your move as seamless as possible. We are an Alaskan moving company and relocation service with offices in both Anchorage and Fairbanks, and we’ve got decades of experience successfully moving households and businesses to and from Alaska. If a move to Alaska is in your future, contact us today for a free quote, and let us help you lay the groundwork for a successful move. Whether you’re moving a household or an entire commercial business, at Golden North Van lines, we’ve got you covered.